When I speak to entrepreneurs about business support, the one thing I hear over and over again is that they struggle to understand where to go to for advice and assistance. There are over five hundred different business support programmes in London, so it’s no wonder that they don’t know where to start. This is the primary reason why the London Growth Hub was established. 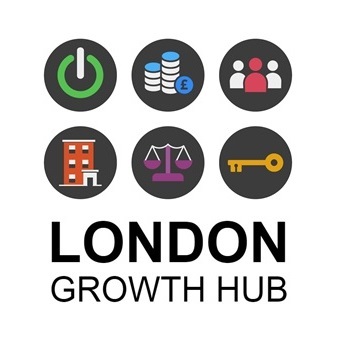 Delivered by the London Economic Action Partnership (LEAP) as part of the Mayor of London’s commitment to support entrepreneurs and SMEs, the London Growth Hub (www.growthhub.london) is your gateway to business support in the capital. It is an online, one-stop shop that brings together all of London’s business support resources, schemes and events. The site is a practical tool that includes factsheets, support schemes, case studies and workspace availability, covering topics from writing a business plan to navigating GDPR. It includes information on each of the 33 London boroughs and you can search by location, price or type of support your business requires. The Property Advice Service provides free, one to one sessions for London-based SMEs who are looking to sign their first commercial lease or negotiate an existing lease. In your individual session, the advisor will tailor the support to your financial and legal needs. The one-to-one sessions are supplemented by a range of online content accessible to all, including podcasts, videos, blogs, articles and masterclasses. The Growth Hub is currently running a Meet the Buyer project that focuses on retail and cleantech and will give small businesses access to new buyers. This is only a small number of the initiatives we are currently running. If you think that you can benefit from the information in the London Growth Hub, it is easy and free to join our community. Just register your details to access a personalised dashboard of information as well a range of free business support content, programmes and events. If you would like to receive regular information from us, please subscribe to our newsletters. To receive the City Hall Business Bulletin, sign up here. This goes out on a monthly basis and includes information the London Growth Hub offering. If you are interested in receiving information about the work of the LEAP you can sign up to the LEAP newsletter here.